Cracked or broken teeth are more than painful — they’re a dental emergency. That’s because when your teeth have suffered trauma, it can have serious implications on your overall oral health. Unfortunately, many patients ignore the break or crack and choose to live with damaged teeth — at a serious cost to the rest of their teeth. Please, if you have broken or cracked teeth, don’t wait to contact your dentist for care. Your dentists in Burlington will attend to your case quickly — on the same day, usually — and are committed to preserving your natural tooth when possible. 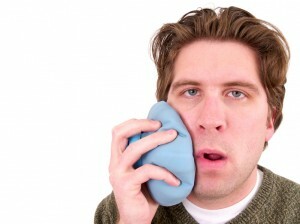 How we treat your broken or cracked tooth depends, of course, on how severe the injury is. Read on to learn more about what you may need. Small chips can be repaired with a filling — or bonded, in the case of the teeth that show when you smile. This method doesn’t require numbing, and means a tooth-colored material will be bonded to your tooth to replace the missing part. For bigger fractures, you’ll probably need either a crown — a replacement that fits over your existing tooth — or an onlay. The most extensive breaks may require a root canal or even extraction. There are three types of cracks your tooth could sustain: fractured cusps, split teeth and vertical root fractures. With all cases, the fractured part of the tooth will probably need to be removed — but there are differences in treatment with each. Split teeth: When a tooth is split, we’re usually able to retain at least one root. The remainder of the tooth will be replaced with a crown. Then, root canal therapy is necessary to remove decay in the pulp. Vertical root fractures: Unfortunately, this injury usually results in a tooth extraction. That’s because these cracks usually run through the center of the root of the tooth, compromising the strength of the structure and making it very difficult to repair. If you’ve got a broken or cracked tooth, please don’t wait to call your dentists in Burlington today. Whatever the cause, our team is here to help you in an emergency — we’ll stop the pain and send you on your way with the beautiful smile you’re used to. Schedule your emergency restorative dental appointment today!